​The Alliance for Holistic Living is once again partnering with the Coventry Regional Farmers’ Market to bring you a holistically-oriented wellness fair. Last year’s event was a great success with Alliance members and local practitioners providing information and hands-on experience emphasizing the benefits of holistic living. 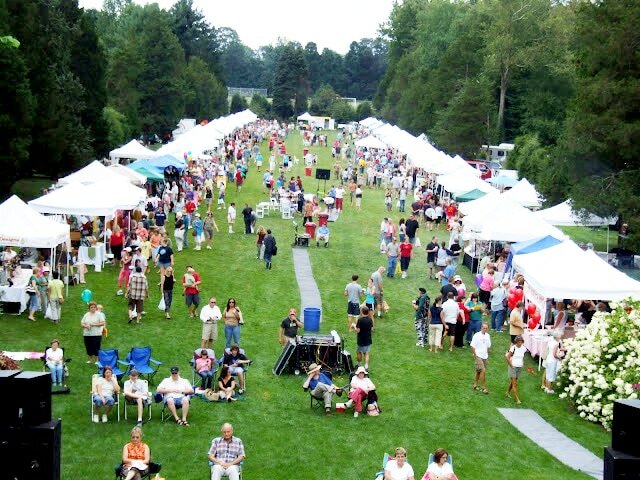 The Coventry Farmer's market is held each Sunday from June through October at the Nathan Hale Homestead. It is the largest market in Connecticut and one of the premier markets in New England. The average attendance is approximately 3000 people each week! The event is more than a market as each week they have themed events taking place. In keeping with its mission of building community through service and education, the Alliance is pleased to be invited to produce the wellness fair for the SIXTH consecutive year. The homestead site is spacious and beautiful…surrounded by nature and offers a wonderful backdrop for the market which offers people the opportunity to purchase local and organic food and other goods. The Rise n’ Shine Wellness Fair will have its own area of the grounds to set-up exhibits offering an array of holistic modalities. Exhibitors will include many members of the Alliance; however, exhibit space is open to the general holistic community East of the River as well. We encourage practitioners offering holistic goods and services to participate. INTERESTED IN BEING AN EXHIBITOR?